Redhead surfer Col Smith also had a great backhand. 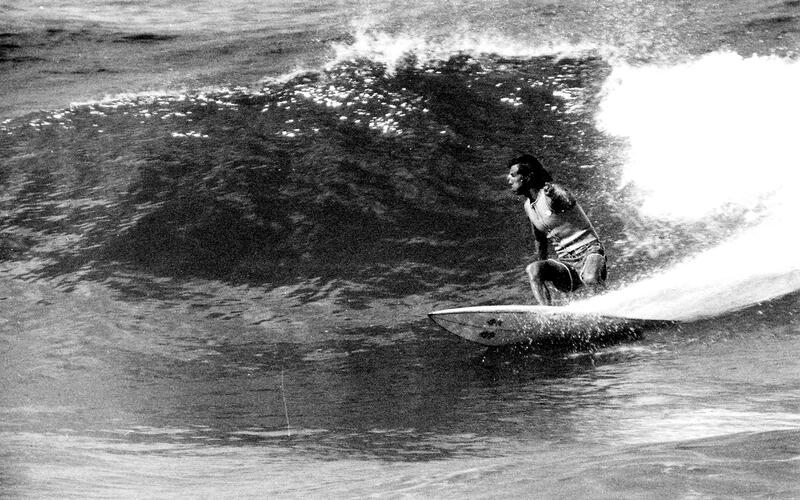 One of the top Hawaiian surfers was quoted as saying he was the best backhand at Sunset he had seen after Col had won the Pro Am there. If you wanted a new board made in 1976 at Redhead, this is the front door to the board shop where Martin Littlewood (Delta Designs) and Roy Lee (Pacific Dreams) were making their own designs. 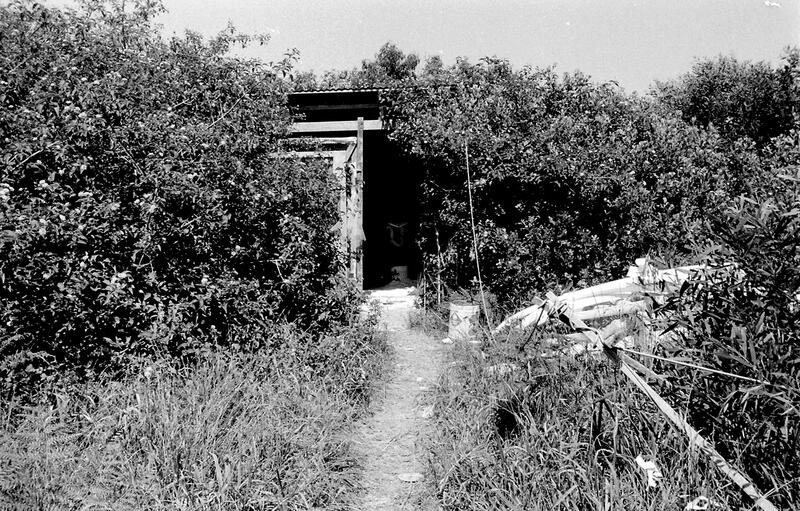 This was an overgrown abandoned chicken shed. 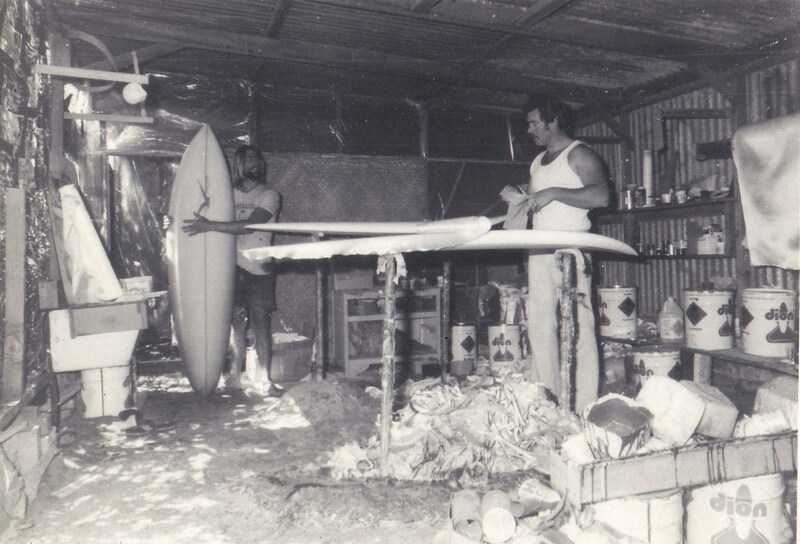 Martin Littlewood (Delta Designs) and Roy Lee (Pacific Dreams) making surfboards in the Chicken Shack Surfboard Factory at Redhead 1976. Steven Butterworth 1978. Seve was a local at Redhead and got the hang of the lefts on offer. 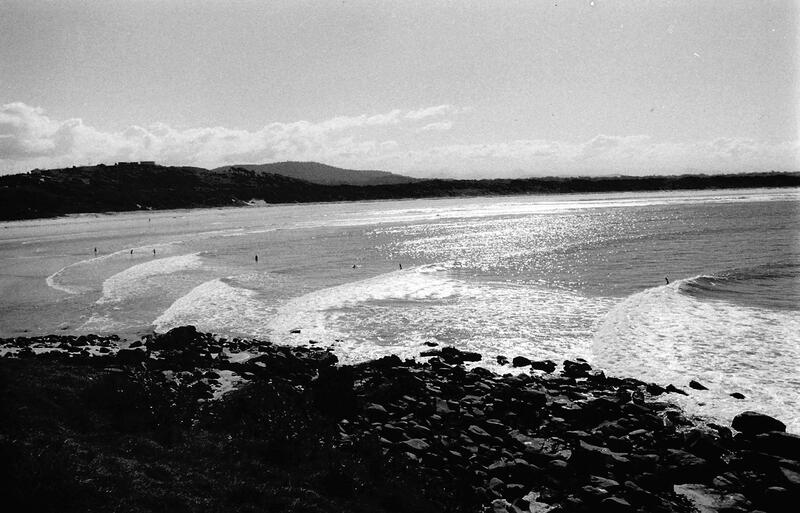 A trip up the coast mid week scored nice waves with only a few out at Scotts Head around 1978. 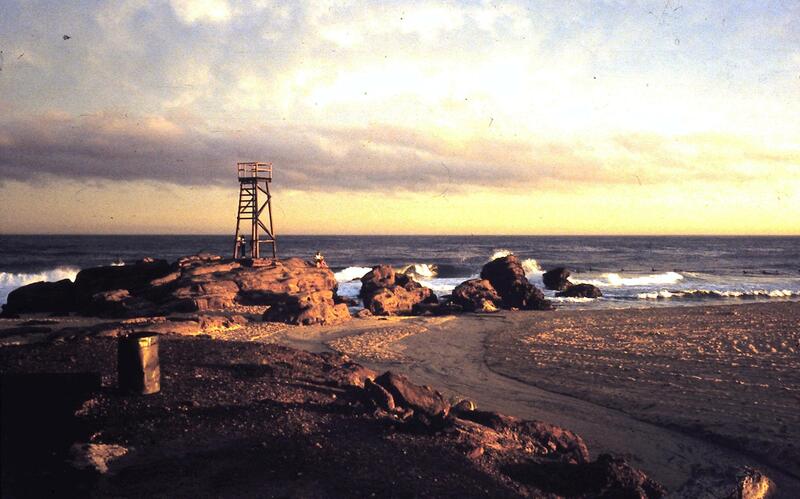 Redhead Shark Tower surf 1986. A rain storm came through and the surf cleaned up and lots of locals were on it as the sun came out again late arvo. This is a typical right behind he tower day with the right conditions. 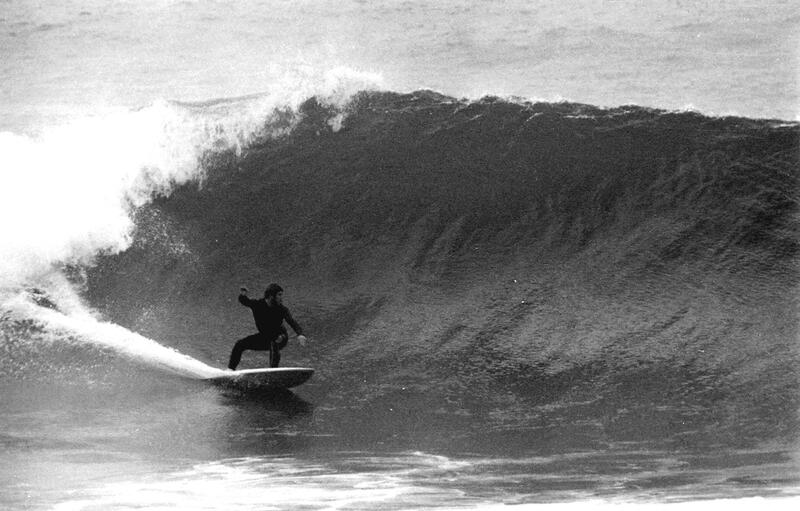 Col Smith surfing in a Redhead club comp around 1976. The negative is a bit worse for wear but shows Col in full flight and eh, he probably won it. 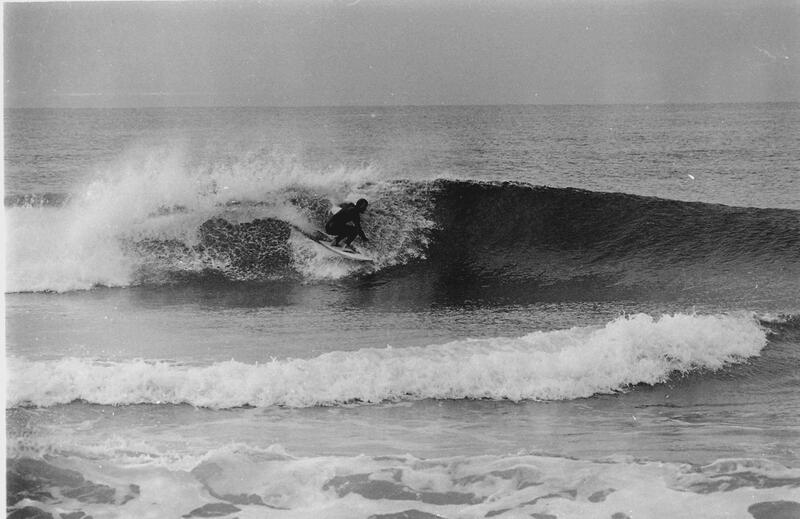 Mark Richards surfing a local Newcastle break around 1978. 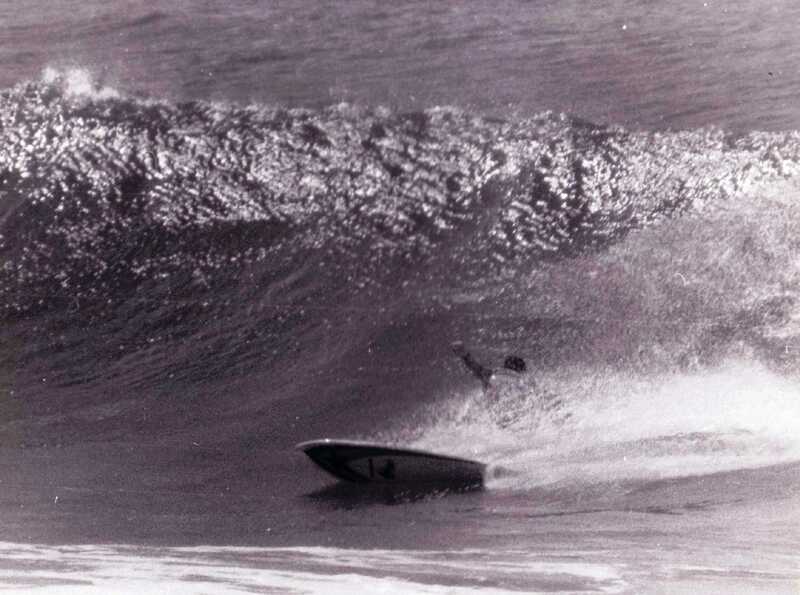 A young Don “Uncle” Ashton on a nice one in the middle of the Little Beach Redhead around 1978. Gary “Boston” Searl on a thumper that will end right in behind the Shark Tower rocks at Redhead Beach.